Touchdown, El Nido! | To Be, To Be. Tutubi. We arrived in El Nido after more than 6 hours of travel from the Puerto Princesa airport. The van made several stops: one for a DENR checkpoint on mangoes, another for restroom break and then for lunch. 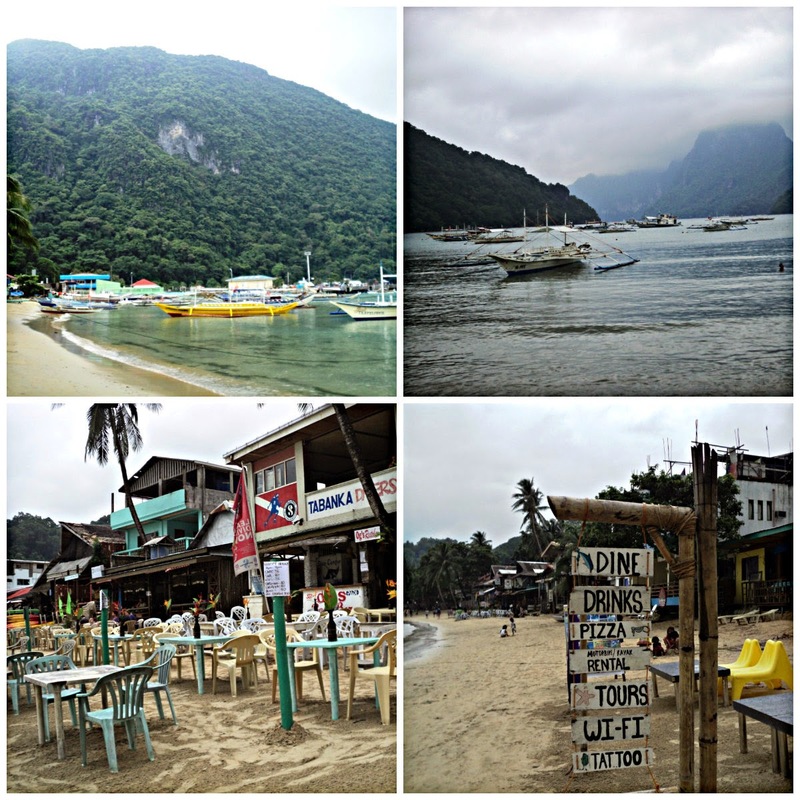 We were in El Nido at around 4:30pm and we checked in at Northern Hope Inn (I will make a separate post on this). After putting down our bags and changing to more comfortable clothes, we went out to see a glimpse of El Nido. Just like Coron, El Nido is just a small, very laid-back town. The whole town can easily be roamed around on foot, and there was no shortage of sari-sari stores and food establishments. The short stretch of beach was littered with small boats and resorts and people who like us, were roaming on the beach for some photo ops. It was so peaceful and so breathtakingly beautiful! Too bad it rained heavily on our first night so we didn't get a chance to walk around more. We went back to our lodging and decided to just go out once more for dinner once the rain stopped. We went into town and ate at one of the carinderias there that caters to both locals and tourists.